Despite the challenges of mounting an audio show in the midst of renovations of the hotel venue, the Rocky Mountain Audio Fest was quite a success. Rumors of its demise prior to the show were unfounded. 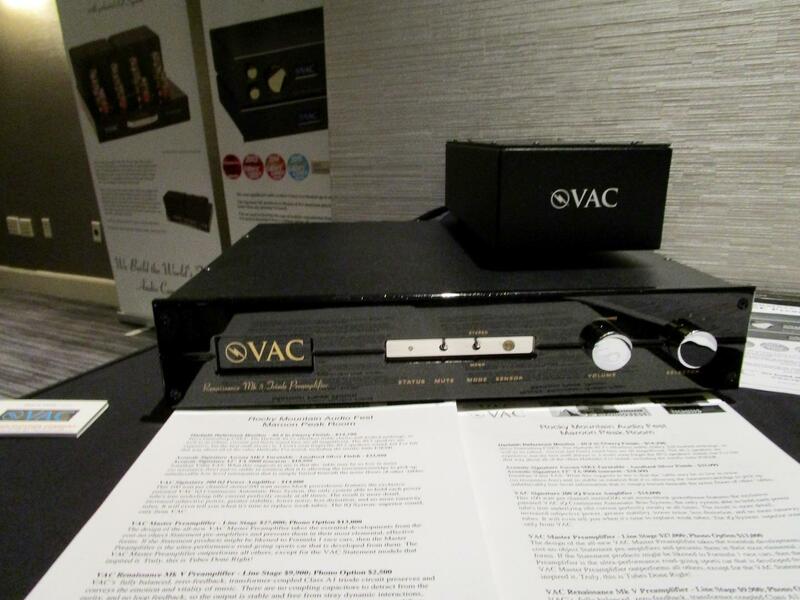 While by my estimation there weren’t quite as many exhibitors as last year, there were plenty of good-sounding rooms with mouth-watering audio components to satisfy any audio enthusiast’s appetite. RMAF was far better than I expected, and show organizer Marjorie Baumert and her team, as well as many manufacturers and dealers, should be congratulated for overcoming the renovation-related venue obstacles. My beat was quite broad: electronics along with highlights of analog, and cables/power products. While I certainly could have used another day at the show, I was able to cover a lot of ground and unearthed several noteworthy products and great values. One of the best sonic gems at the show was Hegel’s new Röst integrated ($3000). The Röst is really like having a smaller-scale version of Hegel’s highly regarded H360 but with the same DAC from its H160. It supports streaming and offers a “high fidelity version” of Apple AirPlay. The Röst produces 75Wpc into 8 ohms but sounded more powerful, natural, and dimensional. Compared with a Hegel H80, this new integrated amp’s soundstage was broad with images extending beyond the plane of the speakers. Another great value represented at the show was NAD’s new C 368 Hybrid Digital DAC amplifier, part of NAD’s completely re-engineered Classic Series electronics (C 338 at $649; C 368 at $899; C 388 at $1599). Long known for its great entry-level integrated amplifiers (one of which helped get me started on my audiophile journey several decades ago), NAD now offers the C 368, a thoroughly modern integrated with a modular design enabling one to add functionality and more power. In addition to a built-in DAC, the C 368 also includes a moving-magnet phonostage. What struck me about its sound was its lack of digital “edge,” making for fatigue-free listening demo when paired with PSB Imagine XB speakers and a new PSB sub in a $3500 system. The sound was relatively smooth and detailed, with good imaging and a low noise floor. The Wyred 4 Sound SX-1000R ($1499 each), an updated model, is a fully balanced design producing 625Wpc into 8 ohms and a whopping 1225Wpc into 4 ohms. It is wired internally with Kimber Kable and sports a new input board to reportedly make it sound more natural, refined, and engaging. Based on my listening to a system bi-amplified with four Wyred 4 Sound monoblocks, and connected with Wyred’s own cables, plus music server, and an SST Thoebe II preamp driving PureAudioProject Stellar 12 speakers, it certainly does! 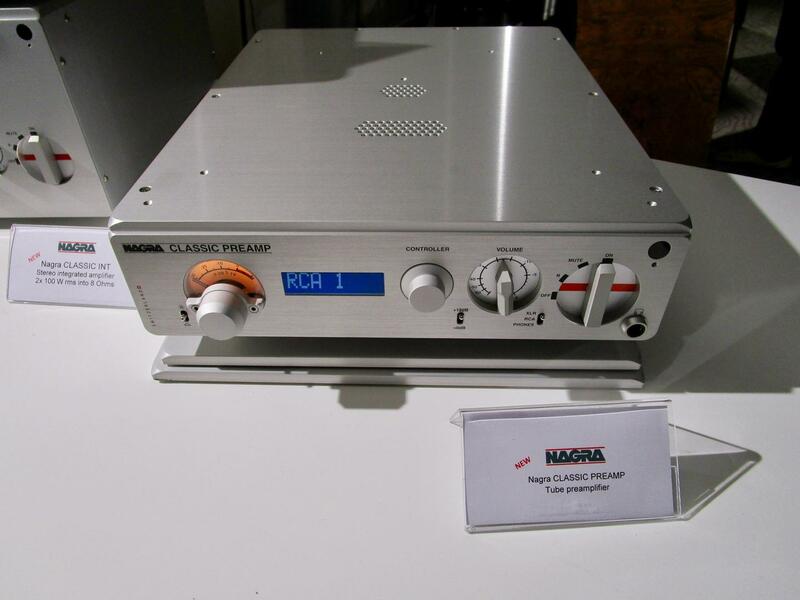 Nagra introduced two new products to these shores: the Classic INT ($18,995) and the Classic preamplifier ($16,995). The Classic INT is derived from Nagra’s recently introduced separate Classic amp combined with a new preamplifier design in the power amplifier’s input stage. It produces 100Wpc into 8 ohms and was on passive display. The Classic preamplifier is a new tube unit, derived from Nagra’s JAZZ preamplifier, with both balanced and single-ended inputs/outputs. 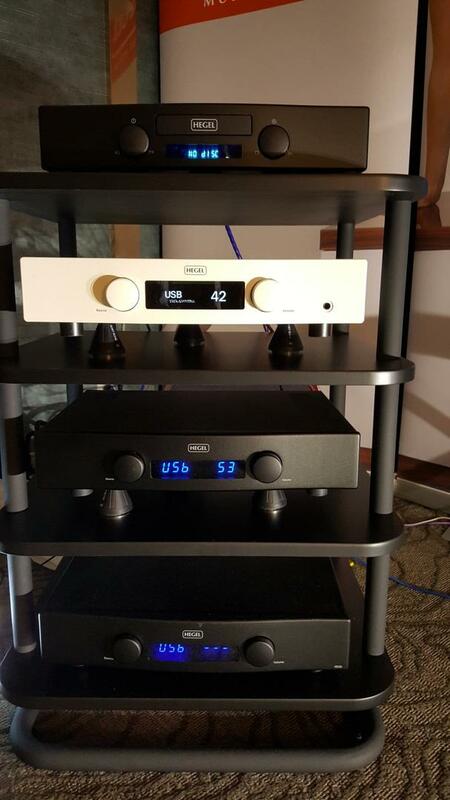 When the Classic preamplifier was mated with the very musical Avalon Acoustics Indra Diamond speakers and a Kronos Pro turntable with a Black Beauty tonearm, EMT S75 cartridge, and Kubala-Sosna cables, the sound was very natural, dynamic, spacious and transparent, with no smearing on the leading edges of transients. This system was a strong contender for best sound of the show. Retailing for $25,000, this super integrated on Bel Canto’s new four-processor platform offers a lot of functionality, including a programmable mm/mc phonostage, internal DAC, headphone output, network streaming, MQA support, bass EQ, etc. It delivers 300Wpc into 8 ohms, and its modular design effectively isolates the analog and digital sections. Combined with Verity Audio’s wonderful Parsifal Anniversary speakers via WyWire Diamond Series cables, the system produced tremendous bass extension and ambience on Bach’s Toccata and Fugue in D Minor, and outstanding clarity and excellent timbre on piano recordings. Although I saw a cut-away section of this ingenious integrated at the Munich Show, this was the first time I heard it. Crystal Cable’s compact Cube System ($16,995) has an output topology derived directly from Siltech’s terrific SAGA “Light Drive” output stage and produces 200Wpc into 8 ohms. Its sophisticated controller provides a complete system control interface. 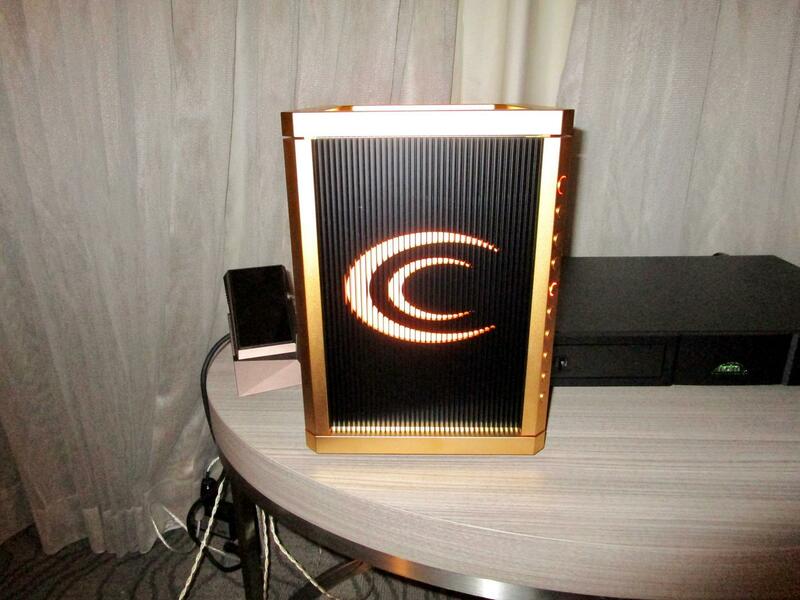 With the Cube driving Crystal Cable’s Arabesque Minissimo speakers via its Dreamline Plus cables, and a Naim digital front end, the sound was very refined and transparent. While Devialet’s Expert Pro series starts with the 130 Pro model ($7690), the line extends to the powerful dual mono 1000 Pro ($34,990) that generates 1000Wpc, has an advanced phonostage, and employs new ADH intelligence, which mates Class A analog amplification with powerful Class D digital amplification. It is software-upgradeable via Devialet’s “Configurator” tool. The 1000 Pro sounded very powerful and dynamic, with great bass drive, fine detail retrieval, and transparency. Designed by Douglas Hurlburt and priced at $25,000, this is one sweet-sounding 125-watt (into 8 ohms) Class A monoblock that doesn’t run hot due to two internally mounted heatsink “towers” cooled by ultra-low-noise fans. It uses separate power transformers, power supplies, and voltage regulators for the amplifier, driver, and output stages. The DSA Amp 1 certainly lived up to its name by producing explosive dynamics without any clipping and was an excellent all-around performer. Esoteric’s F-05 is derived from its Grandioso separates and is a complete dual-mono design with a rated output of 120Wpc into 8 ohms. Retailing for $10,000, or $11,500 with DAC option, this integrated produced outstanding clarity, power, and control driving Canton floorstanding speakers (the best I’ve heard them sound). The 100 model ($4000 standard finish) of Micromega’s M-One series is in production and was making gorgeous sound with Focal Sopra II speakers sitting atop isoAcoustics Gala 1 isolators and connected by Crystal Cable Micro-Cable. 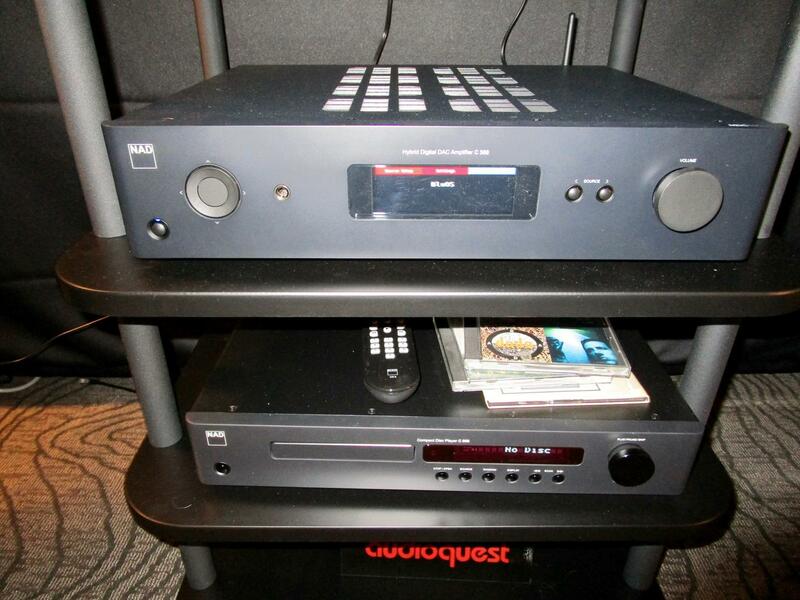 It is a Class AB design producing 100Wpc, and features a mc/mm phono section, as well as a dual-differential DAC. Of special note is that it will accept M.A.R.S. (Micromega Acoustic Room System) room correction modules. This system was one of the best values at RMAF, as well as one of the most attractive. The Rogers High Fidelity 34S-1, an eight-tube (EL34), Class A, 100Wpc tube unit ($19,900), produced beautiful timbre with fine detail. The sound was particularly palpable and seductive on female voices. It offers a nifty application for Apple and Android devices to control functionality and monitor tube status remotely. The Mk V of the VAC Renaissance series preamp ($9900 for linestage) is now shipping and features the same circuit topology from the VAC Statement and the same parts grade as the Signature, according to designer Kevin Hayes. Like its predecessor, it includes balanced inputs and output, an external power supply, Class A triode circuitry, and an optional mm/mc phonostage ($2500) with variable loading. It was on passive display. This unique, no-compromise, 150Wpc very high-bandwidth amplifier ($54,000) features proprietary UltraClass A/B technology and aerospace-grade circuit boards within a chassis of solid copper plate and carbon fiber. Even the transformer is cryogenically treated. Driving the Acoustic Zen Crescendo II speakers, with a Voss Auquus Reference linestage and Aesthetix Romulus Eclipse CD player, the sound was wonderfully transparent and immediate. This is a very promising amplifier! The Jeff Rowland Group introduced a new PSU ($8200 less trade-in) that works with its Aeris DAC and Corus preamplifier. It includes 24 super caps. Rowland was also showing its super integrated, the Daemon ($39,000), which is now in production. It is quite gorgeous as well as very powerful (1500Wpc). 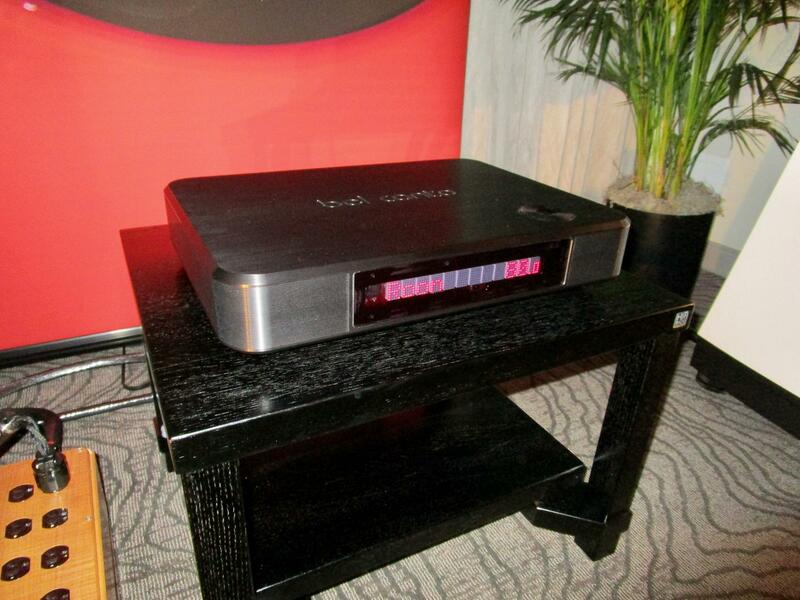 Mark Levinson featured its new 526S Class A, dual mono preamp with an integrated DAC ($16k to $20k). Ever since I heard Zesto Audio’s beautiful Andros 1.2 phonostage in a highly musical system in Munich, I’ve had my eye on it. 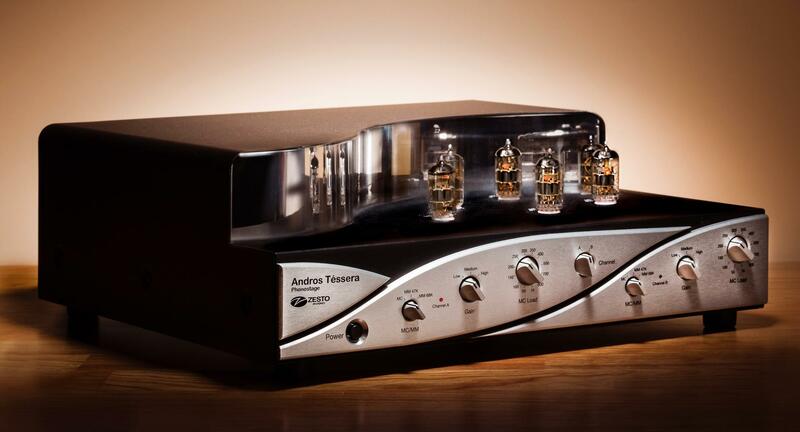 But Zesto has out-done itself by introducing an even better phonostage, the Téssera ($12,000). It features two completely independent dual mono channels. Each channel has its own front-panel moving-coil and moving-magnet impedance and gain switches, and features all-analog tube circuitry with no solid-state devices in the signal path. Coupled with Zesto Leto 1.5 and Eros 300 electronics and a Merrill-Williams REAL 101.2 turntable with two Tri-Planar U2 tonearms with a Benz Micro Gullwing SLR moving-coil and an Ortofon Cadenza mono cartridge, driving Marten Django L speakers with WyWires cables and power products, the sound was stunningly quiet with extended highs, and natural timbre. I thought I was listening to master-tapes! One of the best sounds of the show! The TP-6.5 ($15,000) sports an integrated Lundahl silver wire moving-coil step-up transformer to handle low-output moving-coils. The sound was very quiet and transparent mated with the Brinkmann Spyder turntable and a Lyra Etna SL cartridge. On a recording featuring the brilliant Russian pianist Grigory Sokolov, the piano was reproduced brilliantly and seemed to emerge from an absolutely black background. It was paired with VTL electronics (TL-6.5 Series II linestage and S-400 Series II amplifier), Nordost Odin 2 cables, and the new Wilson Audio Yvette loudspeakers to produce one of the best sounds of the show. This new AMG 12JT Turbo ’arm ($8500) utilizes a new larger bearing assembly featuring dual micro-ball-bearing assemblies for enhanced stability and reduced friction. It also uses calibrated, locking thumbscrews for added rigidity and precise adjustment. The new DS Master 1 optical cartridge ($22,500) uses a newly developed generator and a sapphire cantilever. The dual mono phono equalizer sports three sets of RCA and XLR outputs and each channel has a dedicated power supply with a third powering the optical circuit. Mounted on an AMG V12 Turbo turntable—one of two different analog front ends to the Vandersteen M7-HPA amps and Model Seven MkII speakers and SUB NINE subs—the sound with Audio Research electronics (Ref 3 phonostage and Ref 6 linestage) was very transparent, dynamic, and present, with extension at both frequency extremes. The system really seemed to gel on the last day of the show (that’s a pretty common occurrence), as it provided a very solid and extended foundation to the music. This new Clearaudio Performance DC Wood turntable ($4600 with Satisfy Carbon Fiber tonearm) is the next model up from the Performance DC, and utilizes technology from the company’s Ovation and Innovation series turntables. It was mated with a Hana SL moving-coil cartridge and the new Musical Surroundings SuperNova III dual-mono phonostage ($3500) which offers standard RIAA, Columbia, and Decca equalization curves, and a bank of power supply capacitors to eliminate any sonic signature from its rechargeable NiMH battery packs. As an analog front end to the Vandersteen M7-HPA amps and Model Seven MkII speakers and SUB NINE sub, this combo was very quiet and allowed lots of fine detail to emerge. 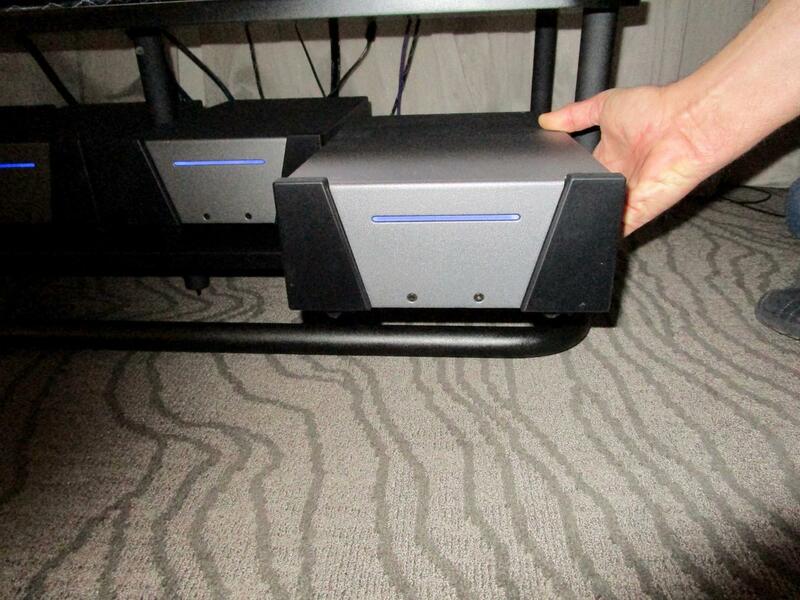 Greg Beron continues to eek more performance out of his world-class United Home Audio Phase 12 deck. This new version operates 100% on DC current supplied via its outboard power supply with two toroidal transformers. It is said to offer the purest power delivery to the deck’s head amps and will retail for $19,000 (plus $6,000 for the external OPS-DC unit). Combined with Atma-sphere electronics, Classic Audio T-3.4 loudspeakers, and Purist Audio’s new Neptune Series cables, the system produced absolutely effortless and stunning dynamics and was a contender for Best Sound at RMAF. 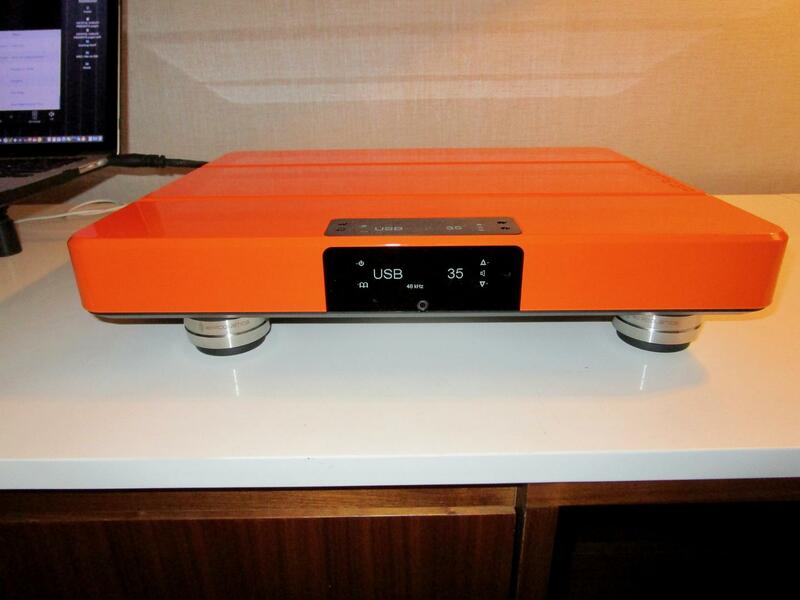 Acoustic Signature introduced an updated Mk2 model of its Ascona turntable ($33,999). “Everything is new, except the name is the same,” said designer Gunther Frohnhoefer. Mated with VAC electronics and Harbeth 40.2 speakers, the sound was one of the best at the show. 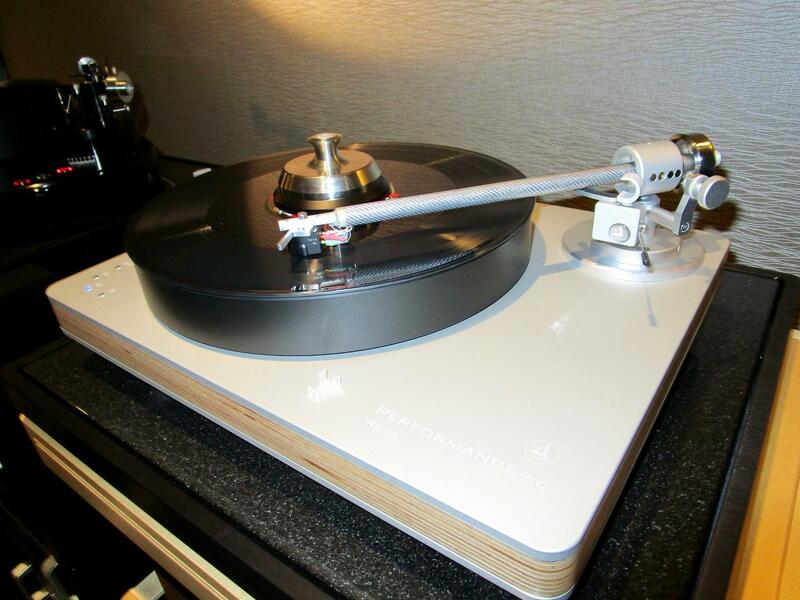 Bryston’s new BLP-1 belt-drive turntable ($3995) was on static display. The price includes a tonearm and a custom Bryston power supply for precise speed stability. Elac showed a preproduction version of its Miracord 90 turntable ($2500 with ’arm and an Audio Technica moving-magnet cartridge). VPI introduced a new Analog Drive System ($900) with a Class AB amplifier as the drive for the motor. The System helped the VPI ’tables produce excellent speed stability in several rooms. VPI also debuted its Prime Signature turntable system ($6000). It features a 3D reference ’arm, stainless steel motor housing, and improved chassis dampening. Technics introduced the standard model of its direct-drive turntable, the Grand Class SL-1200G. It replaces the sold-out Special Edition of the ’table and is essentially the same, except for its isolation feet and nameplate. Zanden, known for its outstanding electronics, introduced the TPM-1, a two-layer, gel-and-rubber turntable platter mat, and the ZVA-1 vibration absorber that uses similar damping materials. Skogrand has brought a lot of the technology and performance of its flagship Beethoven cables to a more affordable price-point ($650, two-meter interconnect; $750, two-meter speaker cable). Like its elder sibling, the Vivaldi uses solid core copper and an air dielectric. This new USB 2.0 interconnect ($1300/per meter) is optimized for computer audio and high-resolution downloads. Its design is said to minimize cross-talk, reduce noise, and protect the USB signal path from any external interference. Nordost also debuted its new Sort Lift ($600 for a set of two) that not only elevates audio cables from the floor, but also incorporates Nordost’s proprietary Floating Spring Design, helping to minimize the contact the cables have with the lift. Cardas’ new flagship cable ($3750 for a 1-meter pair) was discreetly doing its job in several of the better-sounding systems at RMAF. Designed by George Cardas, it features “ultra-pure, Cardas Grade 1 copper, matched propagation Litz conductors, advanced shielding, and air tube suspension.” Cardas also introduced an upgrade cable (price TBD) for in-ear monitors that use MMCX or two-pin connectors. It also uses ultra-pure Cardas copper, is very light and flexible, and is quite durable. Morrow Audio premiered its top-of-the-line 10-Year-Anniversary cables ($9995 for a 2-meter pair of speaker cables), which offer performance above Morrow’s Elite line of cables due to the great increase in wire count over the Elite, in addition to a cloth insulation material to lessen dielectric reflection distortions. I’ve written about AudioQuest’s Niagara series power conditioners in several previous show reports, but this is the first time I’ve seen the Niagara 5000 ($3995). Occupying the middle position in the line, it offers “90% of the performance of the 7000 at half the price,” according to designer Garth Powell. It doesn’t have the 7000’s beefy isolation transformers, but it is still a 20-amp unit and “looks the same as the 7000 to amps,” according to Garth. The newest addition to Purist’s Luminist revision series, the Neptune is the company’s flagship fluid-shielded cable. Fine, single crystal copper strands in a 7 AWG bundle comprise the cable’s core. An individual positive cable and negative cable are used for each channel to help maintain flexibility and increase performance. These wires come standard with Purist’s new interchangeable spade/banana connectors. Mated with Classic Audio’s T-3.4 speakers, Atma-Sphere electronics, a Kuzma Reference ’table with Tri-Planar ’arm and van den Hul Crimson Stradivarius cartridge, as well as United Home Audio’s outstanding Phase 12 OPS-DC tape deck, the soundstage was wide and deep, the dynamics were explosive, and the overall sound was effortless. EnKlein displayed its new entry-level cable, the Zephyr II ($1795) which has scaled-down shielding from its flagship David interconnect. Kimber Kable introduced a new silver headphone cable ($2000) featuring a special balanced connector. Coupled with Sony’s new headphone and electronics, it sounded quite impressive. Tie: The Wilson Audio Yvette being driven by VTL electronics (TP-6.5 phono, TL-6.5 Series II linestage, and S-400 Series II stereo amplifier) and Brinkmann Spyder turntable system with Lyra Etna SL cartridge, dCS Rossini player and clock and Nordost Odin 2 cables. This system reproduced piano recordings exceedingly well and continues Wilson’s welcome move to a more harmonically rich, but still detailed sound. Also, the Vivid Audio Giya G3 speakers, driven by Luxman electronics (EQ-500, C-900u, and M-900u) with a TechDas Air Force III turntable and cartridge with Graham Phantom Elite ’arm, and a Shunyata Research Denali power conditioner with Magnan cables produced a huge soundstage with relaxed and detailed sound and explosive dynamics in the Kyomi/On a Higher Note room. It’s the best I’ve heard the Giya sound. While this system’s overall cost isn’t cheap, the Marten Django L speakers ($9000/pair) sounded surprisingly good when mated with the Merrill-Williams REAL 101.2 ’table, two Tri-Planar U2 ’arms, Benz Micro Gullwing SLR and Ortofon Cadenza Mono cartridges, Zesto electronics (Andros Téssera phonostage, Leto 1.5 preamp, and Eros 300 monoblocks) and WyWire cables. It put many more expensive systems to shame. Surprisingly good-sounding “simple systems” featuring integrated amplifiers with streaming DACs with just a pair of speakers (and cables), ranging from the NAD Classic C-368/PSB setup to the Rowland Daemon/Joseph Audio Profile, Micromega One/Focal Sopra II, Bel Canto ACI 600/Verity Parsifal Anniversary, Aavik U-300/Raidho D4.1 combos, and others. The Zesto Audio Andros Téssera phonostage brings the sound of a master-tape to vinyl playback. Of course, I’d also love to own the Raidho 4.1 speakers, but the room at RMAF was too small for them to fully showcase their amazing capabilities.